David O. Solmitz in a conversation with Dr. Ing. Gabriele Hammermann, director of the Dachau Concentration Camp Memorial, will talk about life with his father Walter Solmitz who, due to the November pogroms, was imprisoned in the Dachau concentration camp from 10 November to 21 December 1938. 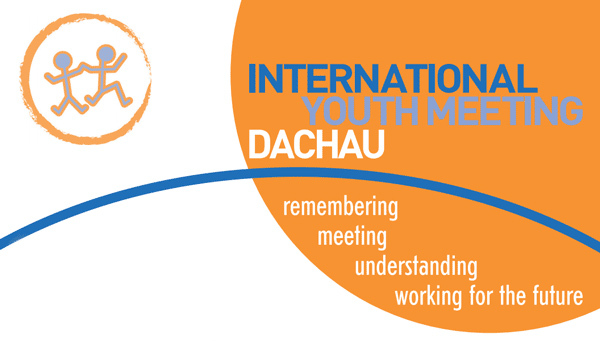 The event will take place at 7 pm on Wednesday, November 14, 2018, in the visitor center of the Dachau Concentration Camp Memorial Site. The event is free, no prior registration is required. The conversation will take place in English and will be translated in German. over the world meet in Dachau. by contributing to travel expenses. From the 29th of September to the 2nd of October, 2017 the staff of the Max Mannheimer Studienzentrum (MMSZ) came to the Netherlands to conduct research on the Dutch memory culture of the Second World War. "The Nazi mentality and its crimes, which left such an indelible impression on the entire world, are thus still with us and, unfortunately, are being rekindled by current events." President of the International Dachau Committee 30 April 2017. 22 February: the gate that was stolen two years ago, has been returned to the memorial site in Dachau. The gate, bearing the slogan "Arbeit macht frei," ( "Work sets you free,") was located in the Bergen area of Norway after authorities received an anonymous tip last year. The gate will not be returned to its original position at the entrance, where a copy now stands, but will become part of the permanent exhibition and it will be kept inside a transparent cabinet equipped with an alarm system.